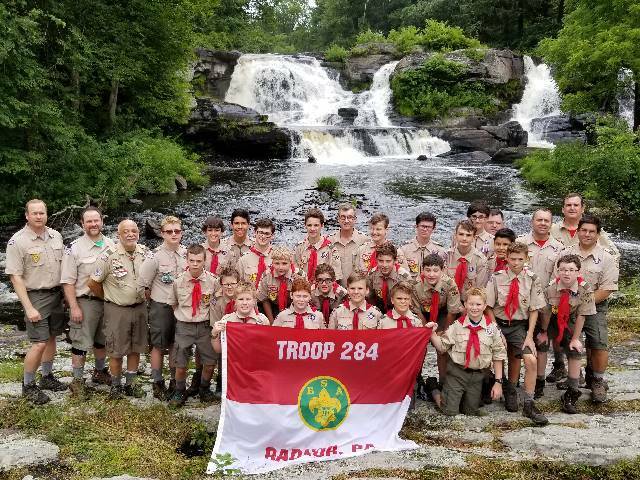 Radnor Troop 284 has been an important presence on the Main Line for almost a century. We are dedicated to the ideals of Scouting and strive to 'graduate' young men of high moral character emphasizing the goals of scouting: citizenship training, character development, and personal fitness. Our program is highlighted by outdoor activities and skills. We meet Saturday mornings at our cabin near the Willows during the warmer months, and at Wayne Presbyterian Church during the Winter. Our year culminates in a two week summer camp the last two weeks in July. 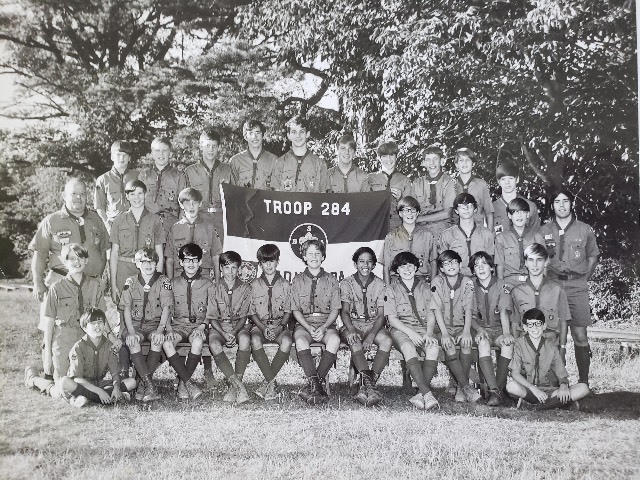 This summer camp is unique in that it is run by the troop leadership rather than attending a traditional scout camp. This allows us greater flexibility in providing an experience that is focused on the outdoors and tailored to the specific needs and interests of the troop membership. Previous touring camps have taken us to Cape Cod, MA, Northern Maine, Lake George, NY, Cape Hatteras, NC, the Connecticut River in NH and VT as well as bi-annual trips to the Philmont Ranch in Cimarron, NM. We have just returned from settlement with Radnor township. The property encompassing 2.2 acres including the cabin is now officially owned by Friends of Radnor 284, Inc.
On March 16, 2014 at the Troop 284 Annual Dinner (once known as the Father and Son dinner) Jay Bowden, Troop Committee Chairman, announced the formation Friends of Radnor 284, a non-profit entity. The purpose of which is to acquire the Cabin and a surrounding portion of land. The amount of land we hope to acquire is approximately 5 acres. This will be dependent on our ability to raise the required funds. 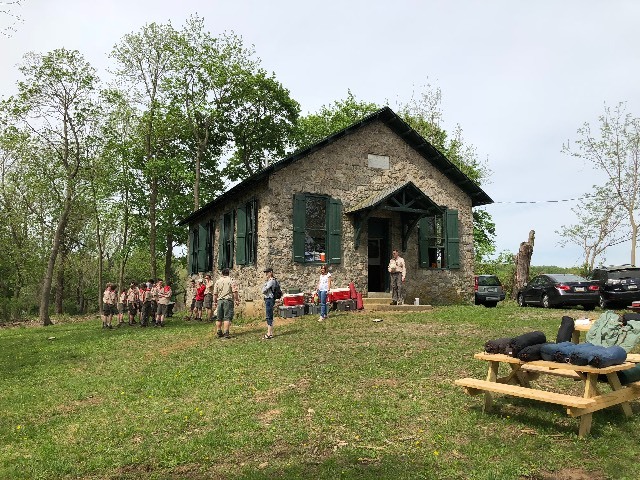 We are hoping to raise $1,000,000 to purchase the property and to create an endowment for ongoing maintenance of the Cabin and the property, as well as to support the troop.